We all know our pets benefit from being groomed. It's great for their skin and coat, keeping them happy,healthy and looking great. We also know it's not always practical for this to happen at home. 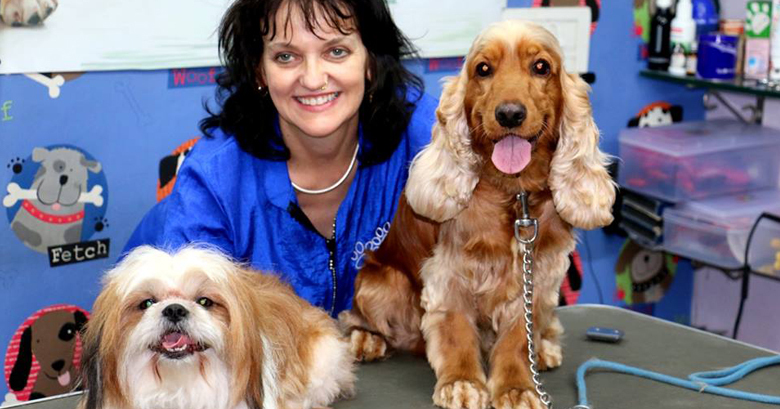 At Just Dogs we have a fully equipped professional grooming salon, a full size bathing tub and a large styling area. Our professional groomers are qualified to give expert advice should you need it and is there to help make your pets grooming experience a relaxing and happy one. We work carefully, never rush, and do not overbook appointments.